Loverna Journey@loverna, for your photography. I was drawn in by the beauty of this photo, and it struck me as a way to talk about creating reverent pauses in our lives. So often, our pauses are expressions of frustration, signaling lack or deficit, or worse, noticing how someone else, or something else robbed us of our equilibrium, our comfort, our sense of familiarity. We let out a strong sigh when our nervous systems get overloaded as a way of literally letting off steam. Pause… Let’s invite in another kind of pause. The Pause of Prevention. The Pause that fills our cups, the pause that puts patience in our emotional bank accounts. The Intentional Pause. The Pause that refreshes. The Pause that doesn’t drain us, but fills us. 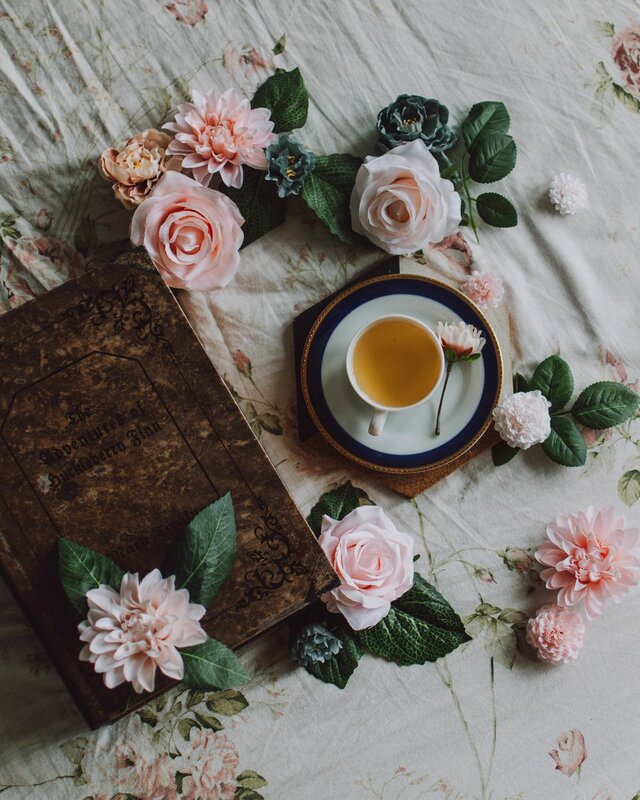 What if at some point today you stopped what you were doing, gathered up just a few simple items, perhaps a candle, a flower or fern, a fond object, and served lovely tea. That tea that you hold on to for company, that tea that you save for a special occasion. If you are like me, you have lots of them in your cupboard, along with those nice mugs that you don’t use daily. Use them. Enjoy them. Create a sacred space with them. Bless your own bounty. Serve yourself some lovely tea. And pause while you savour the aroma, the flavour, the trajectory of how those leaves that grow in a field, probably very far away, made their way to you, through numerous industrious hands. Pause to give thanks. Pause to enjoy. Pause to savour. Even if it is only for a few minutes. Take that sigh, in an intentional way… notice the tension that creeps into your body in an average day, and decide, for just a few moments, to let it all go. If you want to alter your life, start by creating an altar of reverence, start by deciding to create hospitable space for yourself, for your friends, for your family. Start Now! Don’t wait for the next best thing to arrive.